Nardolillo Funeral Home Is A Pursuit of Excellence and Hall of Excellence Recipient. Ranked among the top two percent of funeral homes nationwide, the Pursuit of Excellence Program's award recipients are dedicated to maintaining a positive image for funeral service by consistently providing outstanding service to families, ongoing education to staff and adherence to only the highest ethical and professional standards. Created in 2006, the Hall of Excellence Award recognizes funeral homes for their dedication to evaluating and improving their level of service to families and communities. Upon receiving its tenth Pursuit of Excellence Award, a funeral home will be inducted into the Hall of Excellence. Benedetto "Benny" Nardolillo was the oldest of eight siblings. Emigrating from Italy, he settled in Rhode Island and soon afterward sent for the rest of his family. 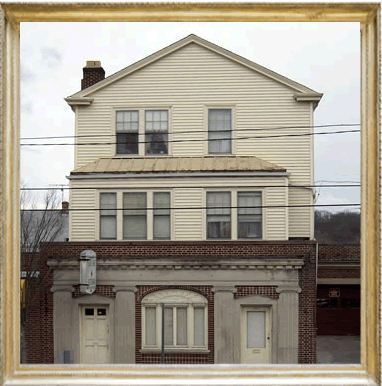 Benny established the B. Nardolillo Funeral Home, Inc. on Pocasset Ave. in Providence, in 1906. His younger brother Angelo Nardolillo Sr., was twenty years younger than Benny. He began to work with his brother until Benny’s retirement from funeral service. In 1954, Angelo Sr. then established the Nardolillo Funeral Home, Inc. at its present location 1278 Park Ave. Cranston. Angelo Sr. operated the Cranston funeral home with his two sons, Robert A. Nardolillo Sr. and Angelo Nardolillo Jr., until his passing in 1980. The Cranston facility offers elegant design and traditional décor throughout. There are five visitation rooms, and over 10,000 square feet of handicapped-accessible space. The funeral home offers parking for over 180 vehicles, which makes visitor access as comfortable and convenient as possible. Robert Sr. and Angelo Jr. continued as second generation funeral directors until Robert Sr.’s passing in 2003 and Angelo Jr.’s retirement in 1989. Robert Sr.’s three sons, Robert A. Nardolillo Jr., David M. Nardolillo and Angelo M. Nardolillo represent the firms third generation in funeral service. They expanded the Cranston facility, and in 2001 also established a new location in Narragansett. Nardolillo Funeral Home "South County Chapel". The Nardolillo Funeral Homes fourth generation is represented by Robert, Jr.'s two sons; Robert A. Nardolillo, III and Ryan J. Nardolillo, David's son; Andrew M. Nardolillo, and Angelo's sons; Angelo M. Nardolillo Jr. and Anthony J. Nardolillo. Nardolillo Funeral Home's South County Chapel is Narragansett's first funeral home. A spacious, handicapped-accessible facility with over 6800 square feet, the interior at the South County Chapel is of traditional design. It offers two visitation rooms, a sitting room, a children’s play room area and a parking lot capable of handling over 150 vehicles. If you have any questions, or if you would like to tour our facilities, please give us a call. We will be glad to accommodate you.